Sailor Moon is a favorite manga and anime series during the 90s. It tells the story of Usagi Tsukino, a young middle-student girl who became a sailor soldier to protect the Earth from evil. She is not alone in doing so, as there are also other Sailor soldiers who will help her fight evil. One of the soldiers is Sailor Venus. 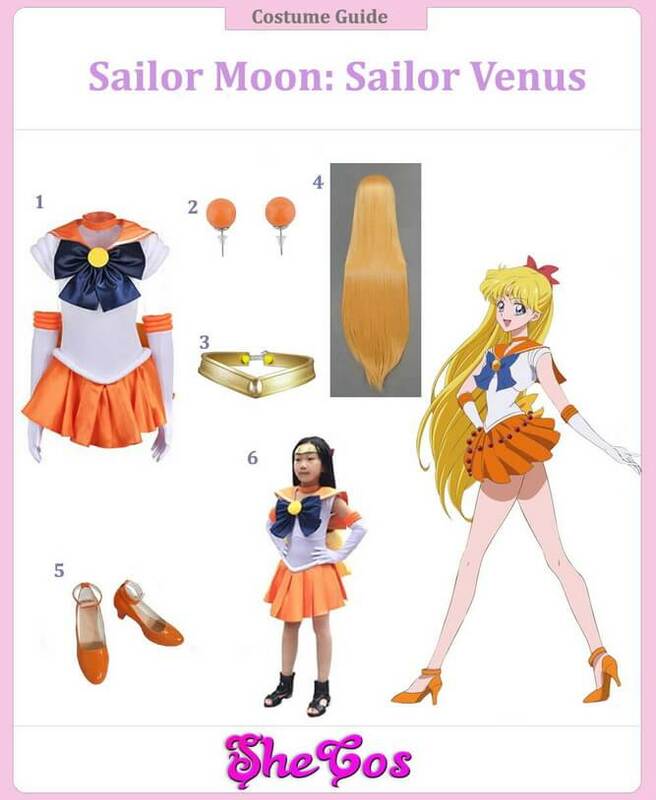 This article will be a Sailor Venus cosplay guide. The private persona of this character is named Minako Aino, who is a junior student. She is the fourth sailor soldier that Usagi discovered, but she was the first one to have awakened her powers by the white cat named Artemis. Minako is also the character who has a secure memory of her past life. Cosplay Sailor Venus is not that complicated to achieve, because her outfit, like what the other sailor soldiers are wearing, is a sailor school uniform. Sailor Venus is one of the original Sailor Warriors in the Sailor Moon series. Her powers are associated with love, beauty, light, and golden material. She is also known as the Soldier of Love in the series. Since Sailor Venus is the most experienced out of all the sailor soldiers, she is the one who is more focused on their mission as Sailor Warriors. 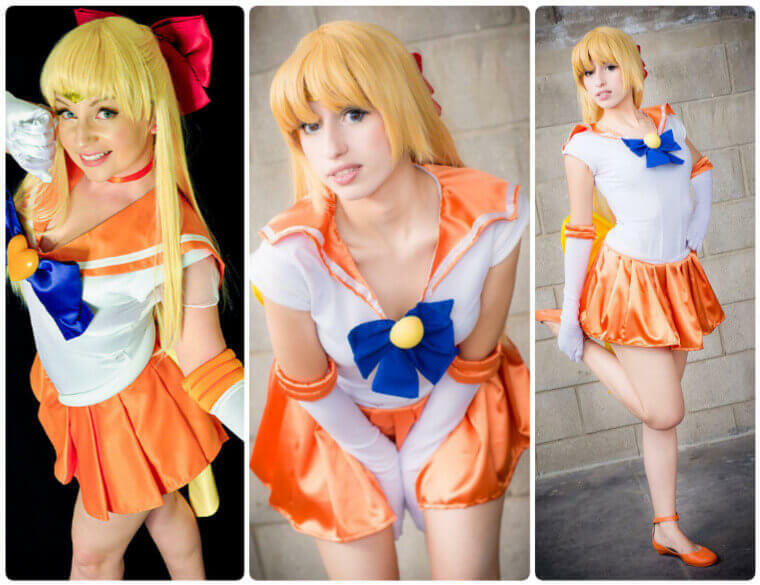 As Sailor Venus, this character is one of the prettiest in the series. 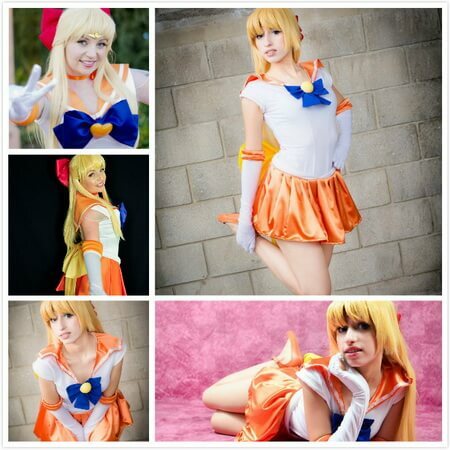 This Sailor Venus cosplay set will come with the full costume of Sailor Venus. It includes the white sailor school uniform with orange collars and an orange mini skirt. The outfit will also come with a blue ribbon bow at the front and elbow-length white gloves with orange bands at the elbows. 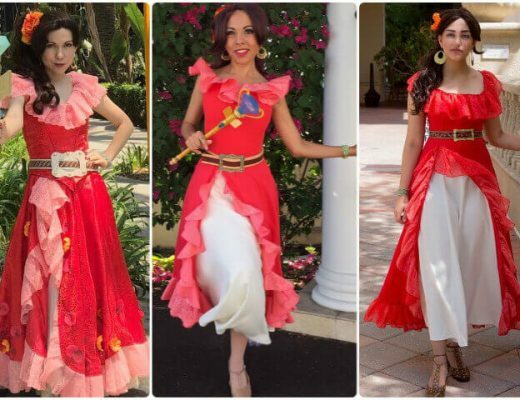 The complete costume also includes a pair of orange high heels, orange earrings, and a headband headwear. The collection also comes with a full Sailor Venus kids’ costume for family cosplay. Minako Aino is known to have a more severe personality when she is in her Sailor Venus persona compared to other sailor soldiers. That is because she was the first one to awaken her powers, which means she has more battle experience than the rest. It allows her to see early the importance of their mission. But aside from being serious, she is also someone who is romantic, resilient, intelligent, athletic, and friendly. It makes the character a favorite option for ladies to dress up in during costume parties or comic conventions. Now, Sailor Venus is known as the Soldier of Love and her powers are associated with love and beauty. 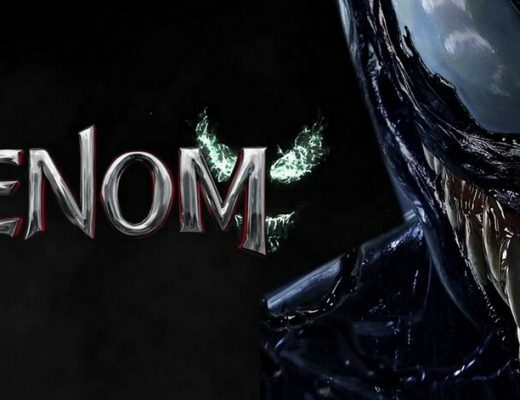 It means that she is one of the most attractive characters in the series. Looking at the Sailor Venus cosplay photos, you can see how her appearance can portray beauty and love, despite a simple presentation.